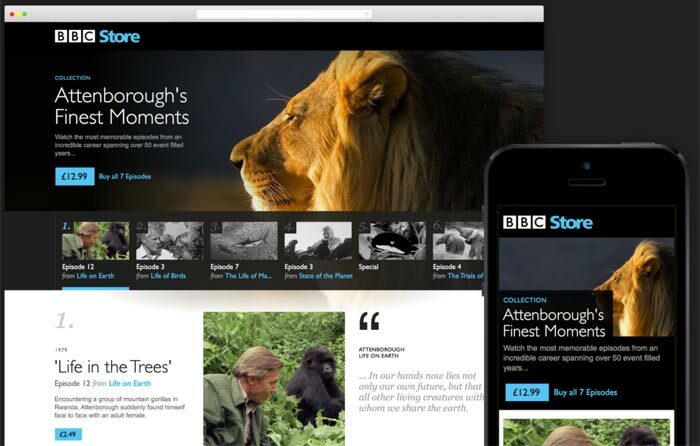 The BBC Store launched just 18 months ago. Its goal was to help further monetise BBC content by allowing users to buy, download, and watch around 7,000 hours of BBC programming. Those who bought the DRM-encoded shows could watch at any time via their website login, or via downloads from the 'BBC Store Download Manager' software. Now the BBC has announced it will close the store due to lack of appetite for such digital goods from its vaults. If you have bought some BBC Store content to 'keep' there's bad news and good news. The bad news is you can't 'keep' it as online access will cease to be available and thanks to the wonders of DRM any downloaded files will become useless bundles of unwatchable 0&1s eating up your data storage. Further bad news is that the BBC has wasted license payer funds on this ill-fated venture. There are positive aspects for those feeling disappointed about the closure of the BBC Store. Majorly easing the pain is the fact that the BBC Store is refunding customers for the 'ownable' content they had purchased to 'keep'. That's not going to be automatic, as users will elect to either get the cash refunded back in full, or refunded in Amazon Video vouchers with a 10 per cent bonus (Amazon bonus is a "goodwill gesture"). The reason behind the BBC Store's lack of success is said to be the corporation had simply overestimated the demand for such a digital service. Additionally, hit BBC shows like Sherlock and Doctor Who are often available on subscription services such as Netflix and Amazon Prime. In a message on the BBC Store website, replacing the store-front since yesterday, we are told that "the BBC will continue to find new ways of making BBC archive content available." Maybe it's just me, but I begrudge paying for anything my license fee has helped create. Let alone paying for it to be DRM'd and only playable through a website that could disappear at any time. Is it any surprise nobody wanted this? Because of the DRM the bbc is now having to refund everyone too with extra in some cases from ‘public money’…. and companies wonder why people hate drm so much, it's because of this very scenario where we basically can't use/watch what we have purchased if the drm provider shuts down. Until companies realise that drm is hurting them as much as helping them getting the files from alternative, less legal, sources will still be popular. I didn't even know it existed, and I'd like to think I keep my ear fairly close to the ground on the internet. Wasn't the store funded by BBC Worldwide who i think is a commercial enterprise generating profits that are returned to the BBC, in effect BBC Worldwide helps fund the BBC and probably helps reduce the license fee.